We are in Hamburg, Germany with Porsche for the press launch and driving experience of the 2019 Porsche Macan. If you are looking for the closest drive in a crossover to a sports car then you are reading the correct article. The Porsche Macan can be described easily as a more practical 911. That’s how good this car drives and on this trip, it managed to impress me on city roads, windy country roads, and on the Autobahn. It makes so much sense that Porsche used the name Macan, which means tiger in Indonesian, to highlight the pure driving performance you’re going to get out of this crossover. The Macan was always the better-looking sibling when compared to the Cayenne. As with all Porsche updates this year the 2019 Macan looks almost the same and that’s a good thing as it already looked good. From the front you probably won’t know it’s the new one. Porsche always does this, to remain faithful to the Porsche styling, you can always tell a Porsche from miles away, not just that, you can always tell which Porsche you are looking at. 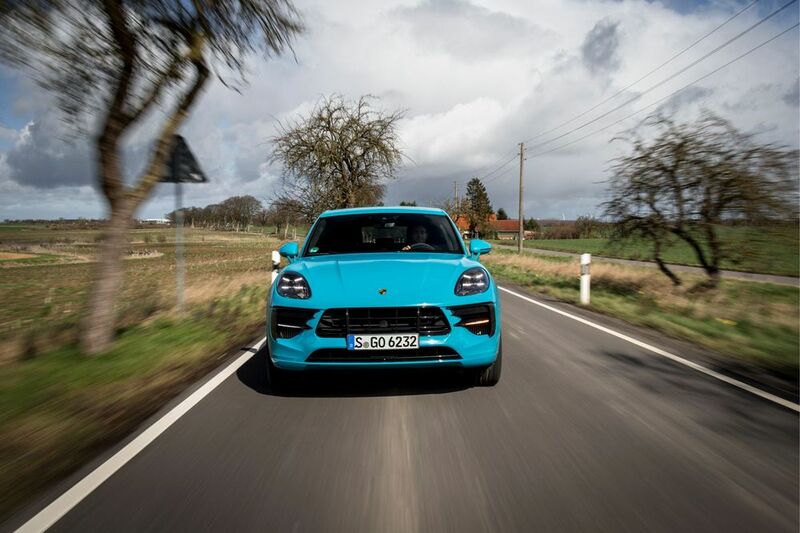 For 2019 the Macan gets new front and rear bumpers with bigger air intake vents at the front, new LED headlights with those distinctive 4 LED DRLs and amazing colors to choose from. Two that stand out immediately are the Mamba Green and Miami Blue. 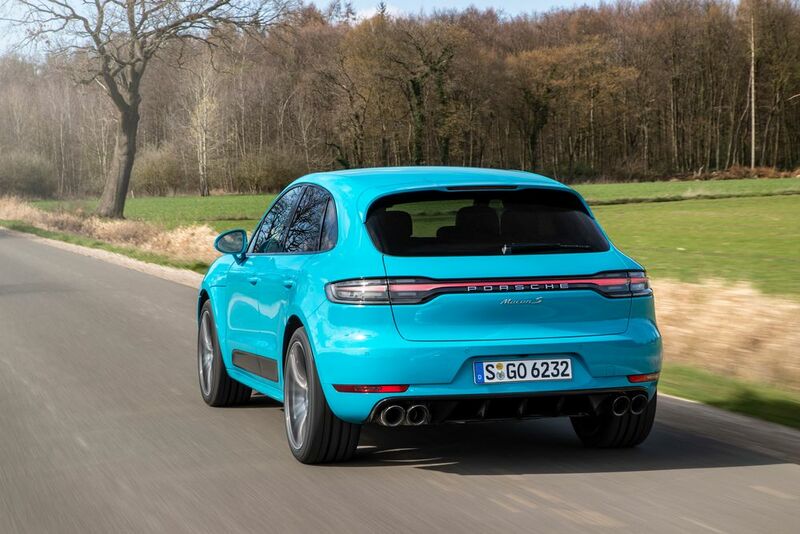 The back of the all-new Macan gets the most change in 2019 with that now Porsche trademark 3D red light bar across the back that is now used on the 911, Panamera and Cayenne. With the Porsche name also spelled there in 3D letters. It’s similar to what we get on the 2019 Cayenne, although I prefer the way the Porsche name on the back of the Cayenne resides under glass, because of two reasons. Firstly, it looks more sophisticated and secondly it makes it less prone to attract dust between those letter groves, making it much easier to clean. On the inside is where changes are the most, as you'd expect from any Porsche the Macan’s interior is well built and made out of quality materials with so many options for you to customize and add things like carbon fiber, Alcantara and also if you want a panoramic roof. But for me the most important change here is replacing the old 7-inch infotainment screen with a new 10.9-inch high definition screen that takes most of the space in the center of the dashboard. Forcing Porsche engineers to move the AC vents from the side of the screen in the previous model to below it in this one. This touch screen supports Porsche Communication Management PCM that allows you to control all your infotainment and systems in the Macan. It is also connected online via an LTE connection to give you instant updates when needed and support things like Google Maps navigation. The center console holds the gear lever and a plethora of buttons. Yes, it’s buttons, buttons and more buttons. But wait, although this makes the Macan look a bit outdated when compared to other 2019 vehicles even the Cayenne for that matter, the use of buttons has an advantage I only felt when driving the Macan for long periods of time. With buttons you tend to acquire muscle memory so you can reach a specific button without the need to look at it at all, with almost every important feature in the Macan having its own button you can activate it without the need of going through many menus or submenus for that matter in more modern screen based designs. You can buy the 2019 Porsche Macan now in 2 variants. 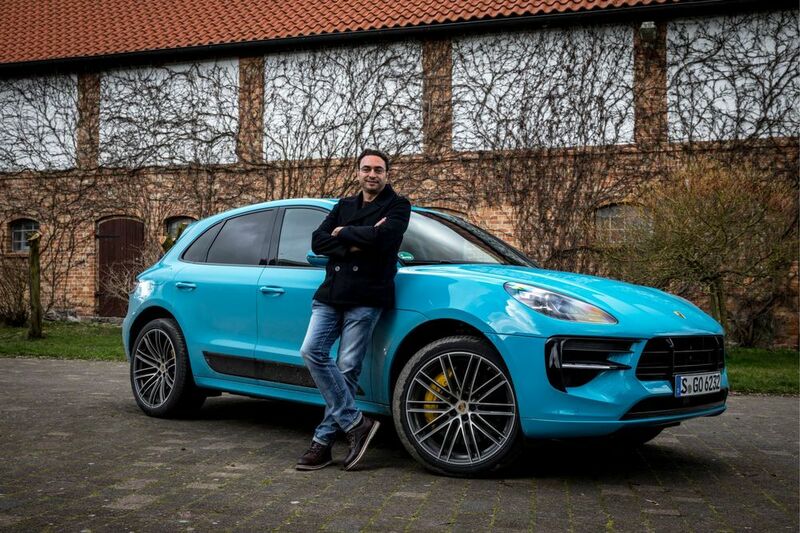 The Macan that comes equipped with a 4-cylinder 2.0-Liter turbo engine that gives out 252 HP and 370 NM of torque. The Macan S is the more powerful variant with its 3.0-Liter Twin Turbo V6 putting out 354 HP and 480 NM of torque. Putting all those numbers aside, I had the chance to drive both on German roads, the route that was set for us was a great combination of highway (the Autobahn) and scenic winding country roads. On these tight curvy scenic roads, you never feel the difference in power output between the Macan and Macan S. What the Macan lacks in power figures is out shadowed by its great steering feel and stability on the road, both get the very smooth and responsive 7 speed dual clutch PDK transmission from Porsche. Letting you fly through gear shifts using those metal paddle shifters to enjoy throwing this crossover into corners with the confidence you would any Porsche sports car. The Macan S however made it possible for me to scratch out a bucket list item, driving a fast car on the unlimited speed infamous German Autobahn. Let me set the scene, I’m driving the Macan S at 120 km/h, it’s a rainy German day, the roads are slippery and wet, winds are strong. Then I see it, that beautiful sign with the 3 black diagonal lines that tells you that this stretch of road has open speeds. Me being me, I floor it, the Macan S speedometer just jumps through the numbers reaching 230 km/h with no effort at all. Despite the bad weather the car is planted on the road, you feel full control and confidence. I push it a little more to hit 244 km/h before a car in front of me forces me to slow down, and by slowing down, I mean just going back to 225 km/h. What a way to bring this bucket list item to fruition, driving on the German Autobahn in a brand that reflects the pinnacle of German mechanical and technological engineering. Oh yeah and if you were wondering about acceleration, both the Macan and Macan S come with the optional Porsche Sport Chrono Package, with that the Macan can reach 100 km/h in 6.5 seconds while that number in the Macan S is 5.1. The back seats of the Macan might not be the most comfortable ones you get in a crossover. Those 500-Liters of boot space might also not be the largest in this segment. The cabin might seem a bit outdated. 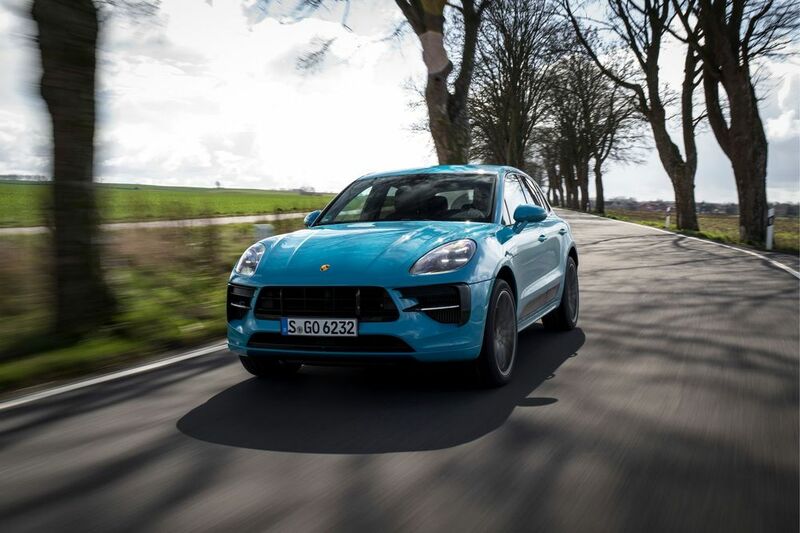 But if you are looking for one of the best driving experiences you can get and a well-built all-rounder everyday crossover, then the Macan is one to test drive and check out. When it comes to pricing, we’ll get the Macan at a starting price of AED 214,000 while the Macan S starts at AED 283,000.